Humidity Indicator Cards are simple “hygrometers” that rely upon the reaction of a chemical agent impregnated on each card with water in the surrounding atmosphere to show within a narrow range of accuracy the prevailing Relative Humidity. 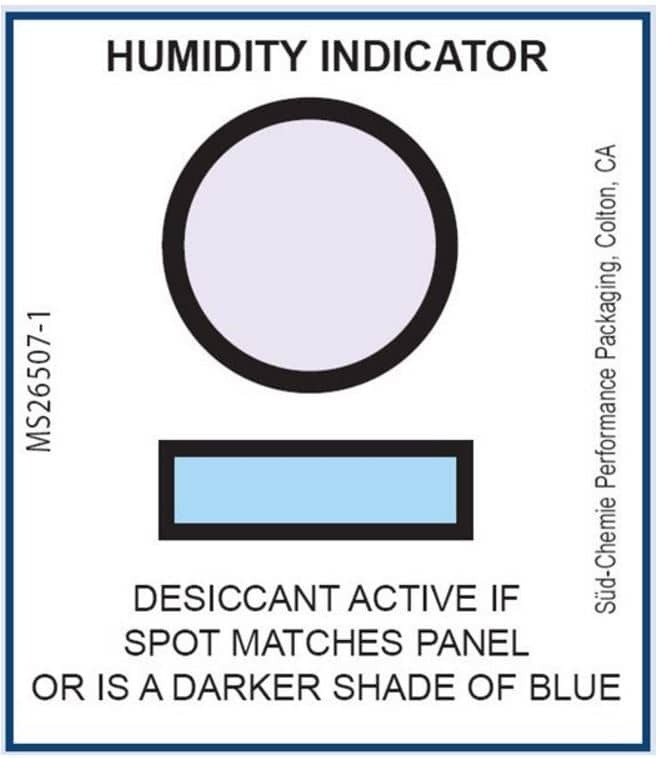 Humidity Indicator Cards can be used in conjunction with a Desiccant in order to assure that the Relative Humidity within a package, compartment, electrical panel, vessel, instrumentation cabinet or sealed container never approaches levels that would cause corrosion. condensation or equipment failure. 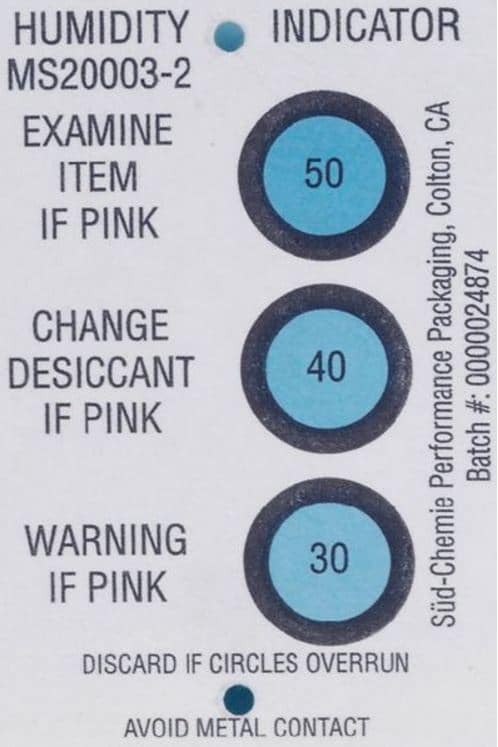 The “Active” (Blue) condition of the card can be restored many times with the application of fresh desiccant when card spots become “Saturated” (Pink). These cards are accurate within the range of plus or minus 2.5% RH. MS26507-1, 3 1/4 x 3 1/4 inch, 625 cards, 3 lb.